The followers of our Blog, Facebook Page, Twitter and Instagram knows that our family loves to Ski and the old man of the family has this Public Address Announcer hobby. As we enter the Christmas holiday break, it is a good time to reflect on the 2018 fall sports seasons, the start to our winter ski season and 2018-19 winter sport seasons... and what lies ahead for 2019. So grab a cup of coffee and enjoy a read! I have to lead off this summary with how proud I am of the communities of Freeport, Pownal and Durham which form RSU #5. Together, they have invested in their schools systems with a tremendous new addition to the high school that serves all three towns and the high quality Joan Benoit Samuleson Track & Field. I have seen many facilities in southern Maine and this ranks right up there as one of the best. The results are paying off in the classroom and in athletics. Families are keeping their kids in the local school system and the towns are welcoming new families. Look at the results of the fall sports teams! I had the privilege of being on the PA for 5 of the football games, and the regional final for Boys Soccer. I also watched as a fan and cheered for the field hockey & soccer teams as they competed on the new field. They always played hard, played with great sportsmanship and won (and lost) with class. One of the coolest things was seeing the tremendous crowds at events that historically, only attracted a handful of people. To see the students and community back the stands to support all the teams was awesome. To have fans lined up to get into a soccer game says it all. Well done RSU #5! Super Start to Ski Season... then NIAR! What a great start we had to the ski season. 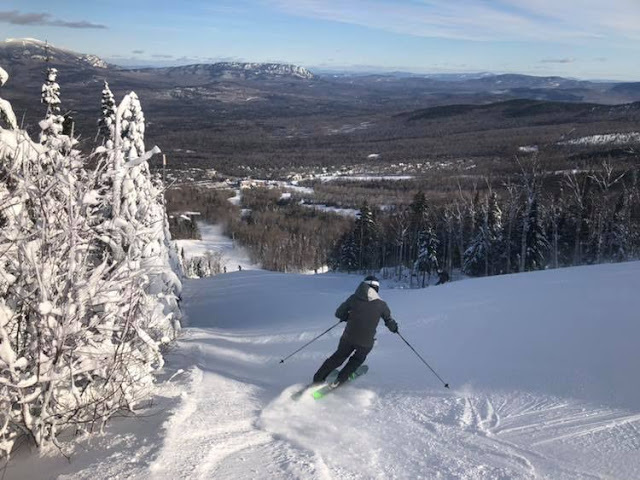 By early December the ski mountains in Maine were reporting FEET of snow. We were skiing trails at Sugarloaf we normally had to wait until February to ski. We had fun while it lasted but then the NIAR happened with very warm temps. (NIAR is a certain four letter word spelled backwards.) So the mountains lost a lot of snow... but as I write this the cold temperatures have returned and the snowguns / groomers are hard at work getting things back into shape. Lets hope for the best as there is still a lot of winter left! 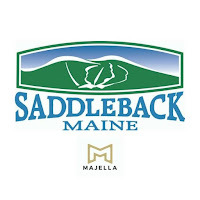 This is about all I have to say about the Saddleback ski area situation. When I have more news to report I will. But wow what a tragedy. 4 seasons in a row with no lift serviced skiing. I checked off another bucket list item in my PA Announcer journey. I was asked to fill-in for two Maine Red Claws games this fall. The Maine Red Claws are the NBA G-League affiliate of the Boston Celtics. These players are a whisker from playing in the NBA. They are FAST, STRONG and can play some unbelievable basketball. Being a PA announcer for pro basketball is a very different style than I usually do. In high school and in college, I certainly give emphasis when the home team does something good, but I try to play it somewhat even. In the NBA style, it is ALL HOME TEAM. HUUUUUUUUUGE calls for the home team and the visitors get the monotone treatment. It was out of my usual comfort zone but I just took a deep breath and went for it. The video below shows my monotone visitor introductions, the big call for the mascot Crusher then leaning into the home team player introductions. It was a lot of fun and I hope I get to do it again someday. I had a blast being the PA announcer for three University of New England football games. This was their first varsity season and the school did a bang-up job putting on the home events. Being a first year team, they struggled on the football field at times but they had their positive moments and was able to get a couple of wins out of the season. It was a lot of fun and I enjoyed seeing Freeport Falcon alum Josh Burke get some playing time for the Noreasters. UNE has a strong foundation and tremendous community support. Bowdoin Football is one of my favorite events each fall. Whittier field is a tremendous setting. They have invested in a brand new turf field, stands & press box and my voice sounds great bouncing around the Bowdoin Pines. However, the past 4 years have been a tremendous struggle on the field with only 3 wins... and the college decided to look for a new head football coach. I wish former head coach JB Wells the best in his new endeavors and I thank him for all his hard work for the Bowdoin football program. We did get a win this year in the first ever night game at Whittier field. Bowdoin beat rival Bates and it was especially meaningful for the seniors on the team to close out their Whittier field experience with a win. The students and fans stormed the field after the game. It was quite a site and a thrill to be part of. We will see what the future holds. I am excited to learn who the new Bowdoin head coach will be. I think the Bowdoin football roster has some great talent coming back. Hope springs eternal and I think better times are ahead for Bowdoin football... and I am excited to be a part of it on the PA mic! Both boys and girls Freeport hoop teams are off to a great start with 4-1 records. If they keep improving, I think deep tournament runs are possible. Bowdoin men's basketball is sitting a 6-3 at the holiday break. They have been searching for some consistency, but they closed out the semester with 4 good wins. The NESCAC is super-competitive, so they will need to be at their best to get a good conference playoff seeding and a shot at the NCAA's. And while rankings mean zilch for success on the floor during games... rankings do recognize consistency and success of a program and recognition by ones peers in the basketball community. Not many PA announcers get to part of a #1 ranked program. This Bowdoin women's team is a joy to watch. Their unselfish, team-first attitude combined with their full court pressure defense and outstanding ability to score the ball makes them a huge problem for their opponents. Oh - did I mention I am the PA announcer for the #1 D3 team in the country? Life is full of ups and downs and we have our share of both. Overall though, our family bond is strong and each one of us participates in life in very meaningful ways. We are looking forward to spending this holiday season with family and friends. 2019 will be filled with skiing, PA announcing and everything else life has to offer us. We hope that you all have a joyful holiday and Happy New Year! Make the most of it! The whirlwind intensity and excitement of the Maine high school basketball tournament in Portland, Bangor and Augusta is over and regional champions have been crowned in all 5 classes. Now it is "just" the state championships left. I was the Public Address announcer for about a dozen games in the Portland tournament and played music for a handful more. I also got a bit of skiing in at Sugarloaf too. Unfortunately I had a minor hyper-extension of my knee when skiing last week so I am writing this blog instead of skiing on this Sunday morning. However, I feel 90% back which is good... but I just don't want to push it today. It is a really fun week of basketball and here are a few reflections on the week. As I wrote in my post describing my PA announcer journey, being the announcer for the Maine high school tournament games is an absolute thrill for me. I hope the players and the fans carry with them many positive memories from these games. Here is a short snippet of me calling out the starters at one of the games I did this week. Being part of the tournament PA team gives me a glimpse behind of the scenes of the many hands and hard work it takes to administer a tournament. While I sat at the scorers table along with the scorer, timekeeper and scoreboard operator, who spent many hours making sure the games themselves ran smoothly, there are many more people behind the scenes making sure things go well for the teams involved. Ticket takers, finance, locker room attendants, ball persons, media relations, awards and countless other tasks are done by many capable hands. A special thanks to Portland's site administrator Gerry Durgin who leads the crew and spends countless hours running the tournament. His steady leadership and focus on the kids is key and I think the tournament is very well run under his guidance. I also very much enjoyed working with my fellow Portland site PA announcers Rich Peterson and the legendary Peter Gribbin. The Bangor and Augusta sites have great crews working hard to run the tournaments as well. Job well done by all involved I say! A shout-out to the media members too. The reporters and writers from the local TV and newspapers as well as the radio and on-line broadcasters who were at all the games working hard to shine a bright light on the players on the court. A lot of words were written & spoken, tweets sent, footage edited and broadcasts given by these folks. Great job by all! A special call out to The Forecaster's Michael Hoffer. He has a unique position where he is able to write long-form game stories for his publication. He wrote a lot of words this week and did a great job as always. I know the teams in his coverage area really appreciate his game stories. It was a great tournament week by my hometown Falcons. The boys won their preliminary game against Lisbon and lead the eventual southern division champion Wells late in the 4th quarter of their quarterfinal game. It had been 10 years since the last time the Freeport boys made it to Portland and they represented themselves very well. Coach Ridge and the boys should be able to take the experience of this week and build on it for next year. The future of the boys program is bright. And what a run by the Freeport girls reaching the regional championship game! After close and exciting wins over Wells and Poland, they showed tremendous desire against Lake Region but they just couldn't get the shots to fall in the second half. The Lake Region defense had a lot to do with that and congratulations to the Lakers on a well deserved regional title. The first time in 41 years a Freeport girls team had made it to the regional final. What a run! Coach Hart is building a great program and the future is bright. Even though my own kids are now out of school, I am so pleased our town and RSU (Freeport, Pownal, Durham) is supporting our schools. We had a tremendous crowd in Portland for all the playoff games. The RSU has recently supported bonds to renovate the high school and athletic fields as well as supporting school operating budgets each year. I think we are seeing the result of this investment play out in the classroom and on the athletic field. There are a lot of options in southern Maine for education and associated athletics. It is important that the public schools systems compete and provide high quality academic and co-curricular options for all. Hats off and thanks to the RSU towns for their great support. Each tournament week has a fair share of lopsided games. However, I was extremely fortunate this year that just about all the games I was PA announcer for were highly competitive. If I had to pick one game that stood out for me it was the Biddeford vs Brunswick Boys A-South quarterfinal. Brunswick made a furious comeback from down 8 points with under three minutes left to tie it up late. However, Biddeford's Zach Reali grabbed a rebound and scored as time expired to give Biddeford the win. It was an extremely well played game and you can't beat the excitement of a winning basket as time expires. As PA, it is really fun to be part of these close contests and help add to the exciting atmosphere in the arena. This lead to an interesting article from Travis Lazarczyk calling this the "dumbest rule in Maine Hoops". My take? He is right. For one, the high school rule on "grasping the rim" is inconsistently enforced. Some refs call any little rim grab on a dunk a T. Other refs let it go. The kids have no idea what to do. Secondly, every high school gym has break-away rims. Dunks are an exciting part of the game. I see it all the time in the college games I do. Players should be able to dunk, snap the rim and get his team fired up. It is not show-boating... it is part of the game! Time for the state officiating body to take another look at how this rule is interpreted and clarify it with the officials for the good of the game. Overall I thought the officiating was satisfactory for the tournament. There were some good calls and bad calls but it is part of the game. Players make and miss shots, make assists and give the ball away on turnovers. Coaches make good and bad coaching decisions. The teams in the state finals are the ones that successfully managed all facets of the game, including how each game is being called by the officiating crew. 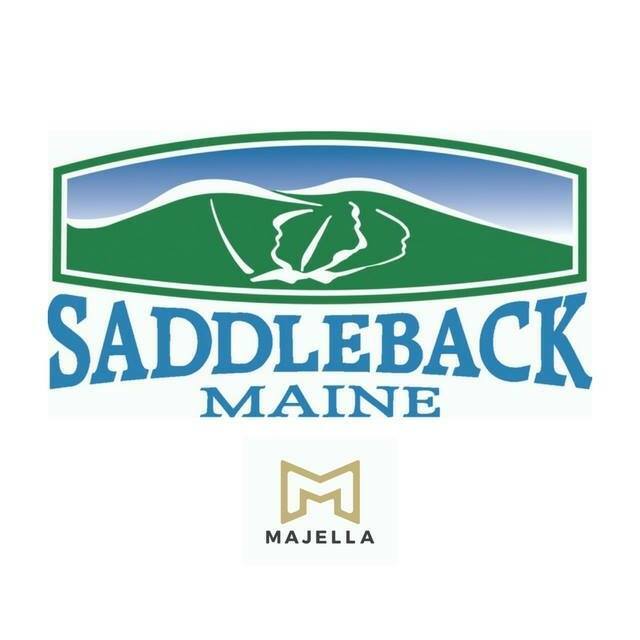 March is a great time to ski in Maine, so I am looking forward to getting back on the slopes and have my fingers crossed for more winter weather in the mountains. 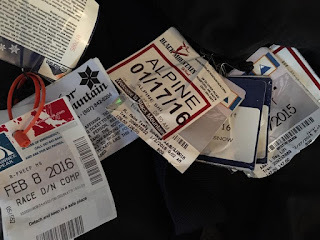 I should be able to get a skiing post or two on this blog in the coming weeks! I do have at least one more busy weekend of basketball left with two and possibly three events I will PA for. Class A State High School Basketball Championships - On Thursday, March 1, I will be on the PA mic for both the boys and girls Class A state title contests in Portland. 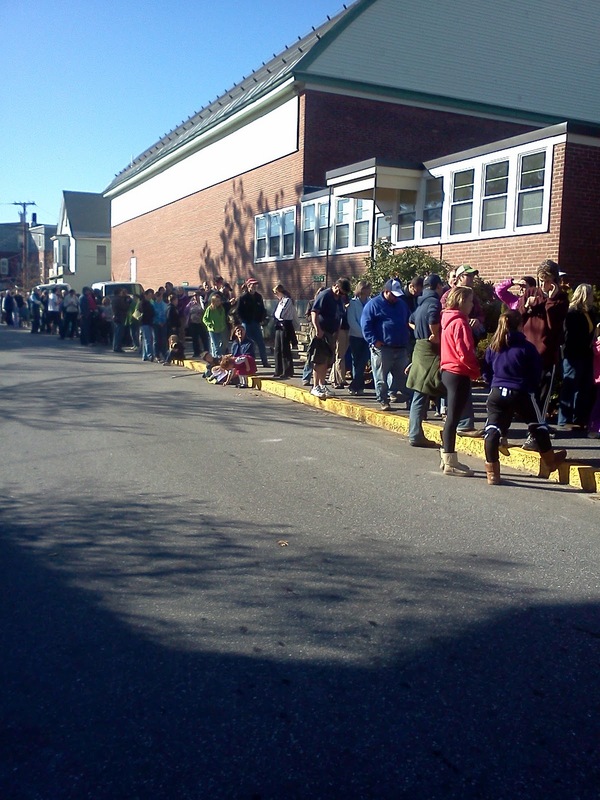 Both Hampden and Greely are sending both their boys and girls teams to the games. What a great accomplishment for both of these programs and I am looking forward to be on the PA for two highly competitive state championship games. American East Women's Basketball Championships - I will be on the PA mic for 4 of the 6 America East games at Cross Insurance Arena March 3-4. I did these games last year and this is a great event. Most all the teams bring pep bands and energetic crowds to provide a lively atmosphere. If you are a fan of basketball I highly encourage you to check out this tournament. College Division 1 Women's basketball has highly skilled players that are fun to watch (and PA for). The UMaine women should will come into this tournament as a the #1 or #2 seed. NCAA Division III Women's Basketball Tournament (hopefully CONFIRMED) - Unfortunately, the Bowdoin women bowed out of the NESCAC conference tournament in the semi-final round to a very strong Tufts team. However, with a record of 24-2 they still have a great chance to host at Bowdoin College the 1st and 2nd round of the NCAA Division III tournament March 2-3. With NCAA Division III, travel costs come into play when selecting host sites. Hopefully the geographic makeup of the tournament teams fall in Bowdoin' favor so they can host. We will find out on Monday. Regardless the Bowdoin women have had an outstanding season so far and will be looking to have a great NCAA tournament. UPDATE - Bowdoin was selected as a host site! The are hosting Husson, Skidmore and FDU-Florham. Til my next post, you can likely find me on a ski slope or basketball arena in Maine!